Mr. Mohammad Ali Ashraf Vaghefi mentioned: Mr. Mariano Palacin the president of FEPET visited Iran 20 years ago and he found Iran an interesting destination, so he decided to set up one of the annual meeting of the federation in Iran which is held in a different country each year. This idea was on hold until 3 months ago that I received an email from Mr. Palacin, he held up his proposal once again and we also regained it, because we were always looking for this event. 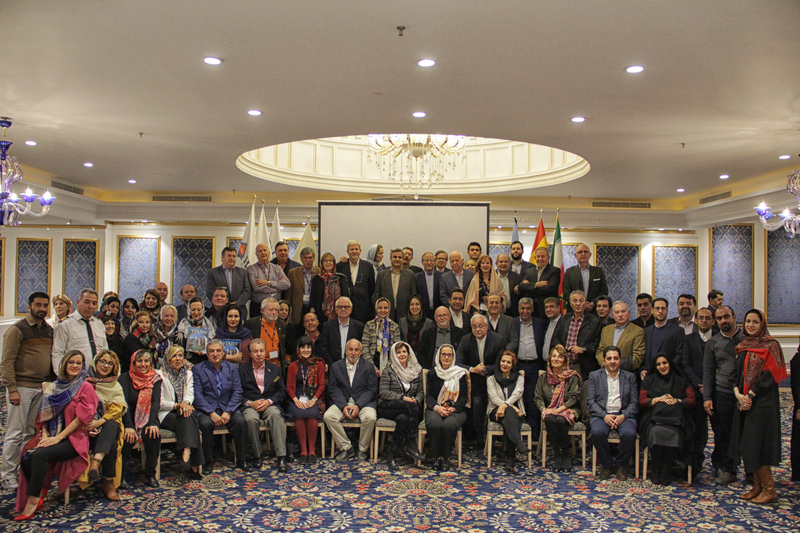 Mr. Mariano Palacin said: The group visited Shiraz, Yazd, Esfahan, Tehran, and Matin Abad Eco-Camp in one week. we explored this lovely and beautiful country in 7 days and our saddest moment was when we realized we are leaving here. We had a very efficient 7 days trip and we met deputy of tourism organizations of Tehran, Shiraz, Yazd, and Isfahan. We understand that Iran is a unique and magnificent country. The kindness and welcoming of Iran’s people made beautiful and exciting moments for us. I could not imagine all the eyeful sights in one place ever. He continued: the most important factor for us was that people always had a smile on their faces and they were very warm welcoming, therefore I can forecast a very bright future for Iran’s tourism. He finished with: We will always keep the memory of this beautiful journey in our hearts. The FEPET federation has held their gathering in 20 countries so far. They have visited Cuba, Egypt, Brazil, Philippine, Venezuela, Jordan, Malaysia, Honduras, Morocco, Indonesia, Syria, China, Uzbekistan, Yemen, Paraguay, Turkey, Peru, and Mexico and for next year they will be in Cameroon and 2020 they will be in Ecuador. Iran Doostan MICE department was honored to organize FEPET final dinner gathering at Espinas Palace hotel on 1st December of 2018. find out more pictures in our gallery here! and if you want to watch ye short video clip of this glorious night you can visit our youtube channel.